Sideshow and Tweeterhead are pleased to present The Joker 1966 Maquette Diorama. Batman's infamous arch-nemesis played by Cesar Romero, dons his iconic green and purple suit. 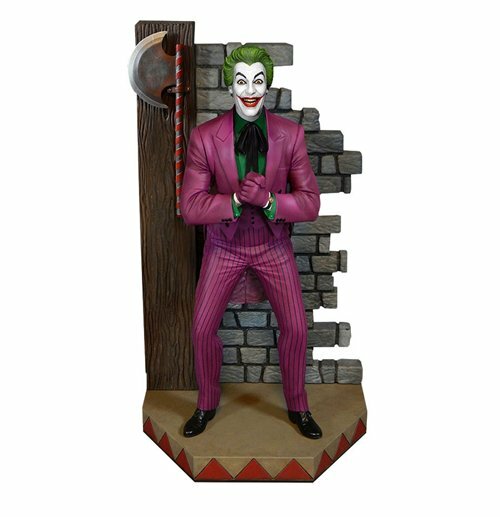 The 35 cm tall diorama features a brick wall with removable clown head.Don't miss your chance to add The Joker to your Batman Classic TV Series collection!